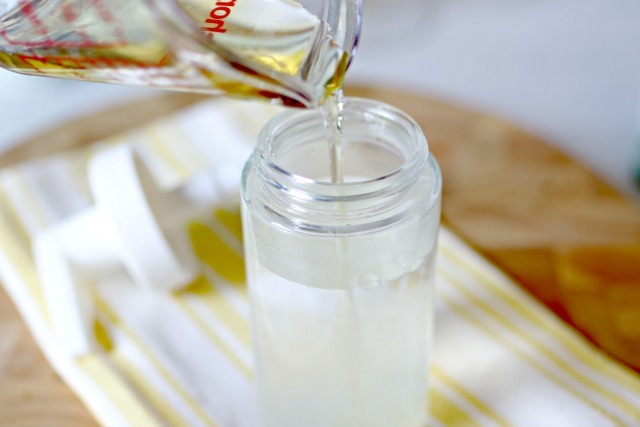 Did you know that you only need 3 ingredients to make your own DIY Liquid Hand Soap? 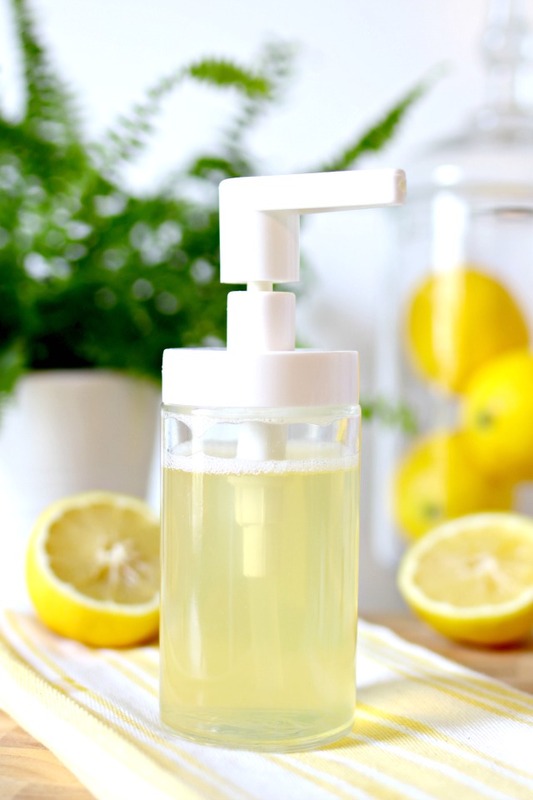 It’s so easy to make your own, and this non-toxic lemon scented hand soap is sure to become your favorite! This post contains affiliate links, which means that if you make a purchase using one of these links, I will receive a small commission. There are so many amazing hand soaps on the market now, but the truth is, many of them are filled with toxic chemicals that I can’t even pronounce. 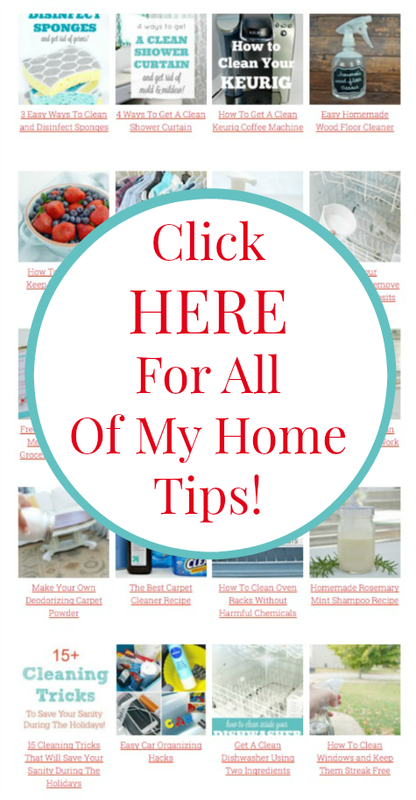 I’ve been making my own non-toxic home cleaning solutions for years, and this is by far one of the easiest! 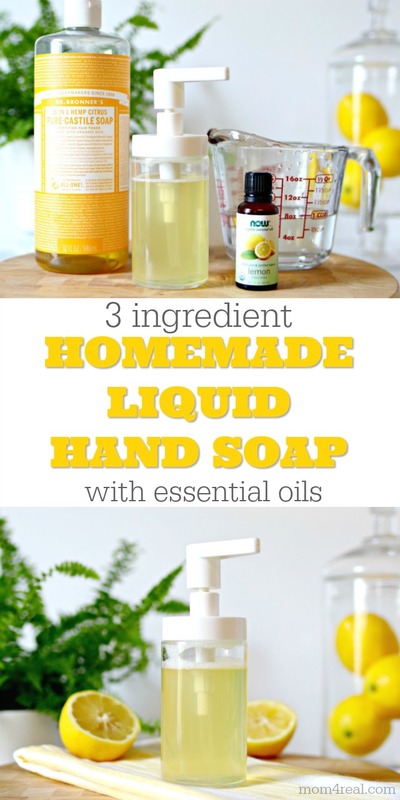 You only need 3 ingredients to make it, and the great thing about the ingredients for this hand soap recipe is that you can use them to make other household cleaners that can be found HERE on my Cleaning Page. For my hand soap, I wanted a lemon scent, but you can absolutely use different essential oils to change up the scent. Some of my favorite scents are lavender, orange, lemongrass, vanilla, rosemary-mint, and lemon-mint. I’m also working on some fall scent mixtures that I’ll be sharing soon. Make sure you sign up for my emails at the end of this post so you don’t miss them! 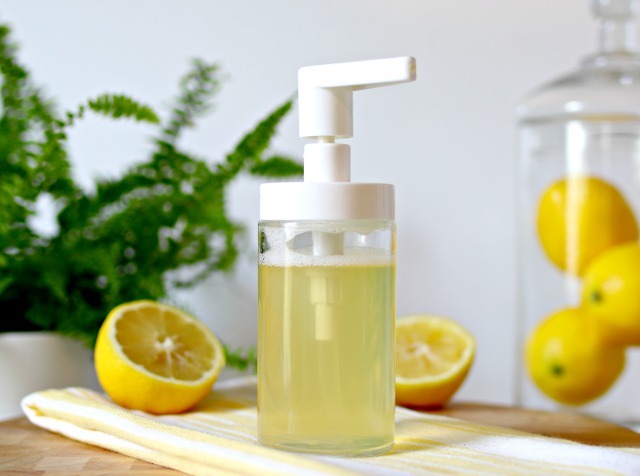 What’s in DIY Liquid Hand Soap? How do you make liquid hand soap? First, you will need a soap dispenser. You can use a regular hand soap dispenser or a foaming hand soap dispenser. Just rinse out an old soap dispenser to use, or you can purchase some HERE. Step 1 – Pour 3/4 cup of water into the soap dispenser. 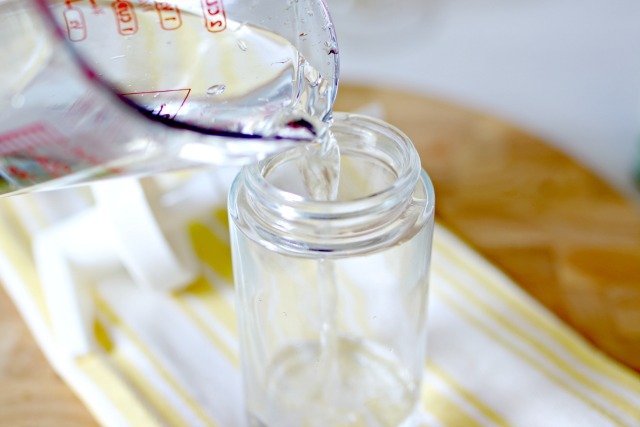 Step 2 – Add 1/4 cup of Castile soap. Step 3 – Add 20 drops of essential oils. 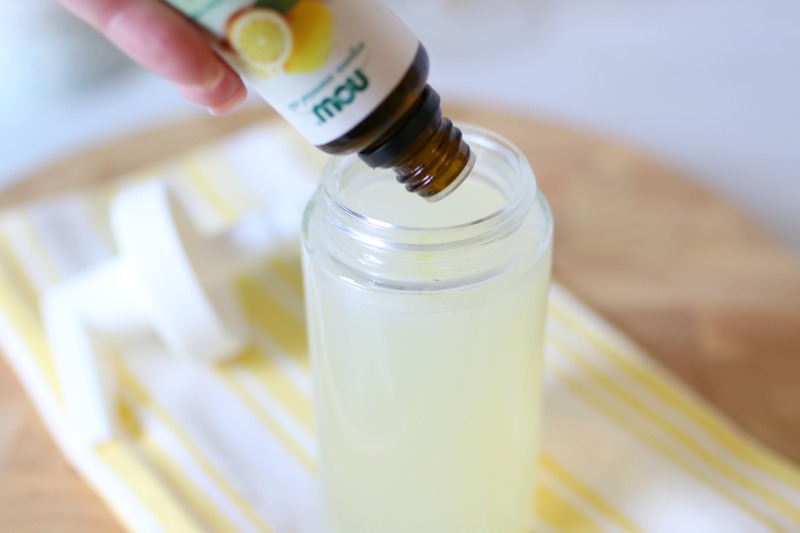 You can use lemon like I did, which helps remove food odors and is super fresh, or you can experiment with other essential oils and mix and match scents. Step 4 – Shake well and replace soap dispenser lid. 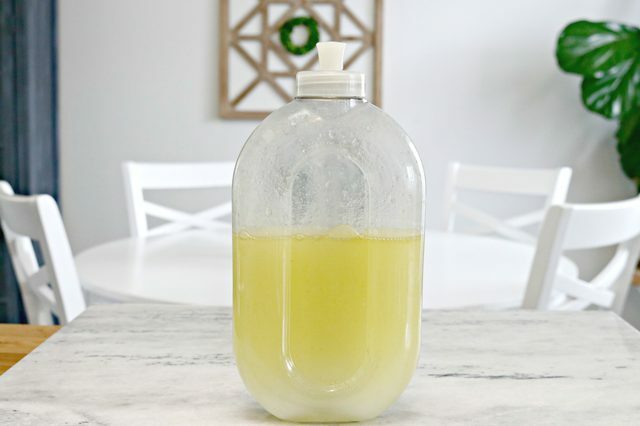 This easy homemade liquid hand soap is so delicate on skin and is safe for children as well. You could even let your kids mix their own soap…maybe it would encourage them to wash their hands more often ;) This soap also makes a nice gift for friends and family. If you make your own soap using this recipe, I’d love to hear what scents you use…just comment below! This 3 Ingredient Homemade Wood Floor Polish is perfect for cleaning and restoring the look of your wood and laminate floors. 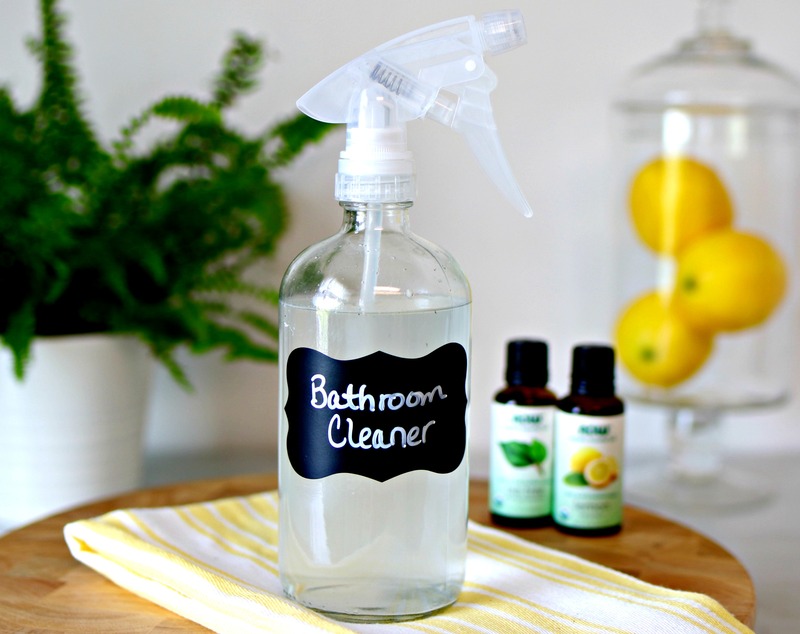 Clean your bathrooms with this easy DIY Bathroom Cleaner Disinfectant Spray and say bye-bye to germs and bacteria! How is this for removing greasy residue from hands when trimming meats, chicken, etc., or cleaning greasing pans? 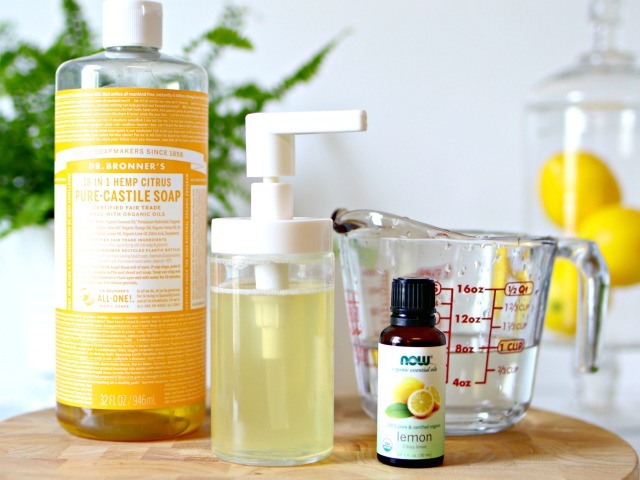 There is a big difference between (Castile) soap and detergents, but I’d really like to find something less harsh for kitchen hand washing.. I’m new to trying do-it-yourself products, but I am interested in making a change. I love it! The lemon essential oils have bacteria killing properties and the Castile soap creates a nice lather to help wash your hands well. It’s super gentle on skin as well. It isn’t as thick as most hand soap, but lathers so nicely. Hope this helps, and let me know if you have any more questions! Does this soap need a foaming soap dispenser or not? Would Jonson’s shampoo work as an alternative to Castile soap as we don’t have it here in the UK. You could definitely give it a try…or use dish liquid. Both should work well! Hello. Why do you put water in the mix? Doesn’t water introduce bacteria? I was just curious. Thank you. I’ve seen on other recipes that a tiny bit of salt is added to help emulsify the other 3 ingredients. What are your thoughts? Hi, Kelly! I bought the bottles that are in the photos at IKEA for $2 a piece. In the post, I also linked to some that are available on Amazon, where I usually get them. Hope this helps! Hello!! I just made this soap and it’s so great! I used citrus Dr. Bronners Castile Soap and lemon essential oil in one then blood orange essential oil in another. Both are amazing! Thank you!